KAMPALA – In April, the energy sector was taken by storm following an announcement by the Rural Electrification Agency (REA) that all households in Uganda would have access to electricity. Despite numerous teasers in the dailies about the kickoff of the project, Ms Sylvia Birungi, the principal connections officer at the REA, says Ugandans will have to wait until October to realise the promise. “The project has started on a small scale but it will officially kick off next month on a larger scale,” she says. The free electricity connection policy is a project managed by REA funded by international donors such as KFW, African Development Bank, French Development and European Union among others. The stall is a culmination of technical modalities associated with donor funds which require time to address. Ms Birungi says currently, a component under KFW is under implementation but the agreements in line with other funders are still pending and are expected to be concluded in October. “The finances are already here but the preparations to ensure everything is in place is what is being finalised. KFW is finalised for now and is already in implementation,” she says adding, “Whenever we finish the modalities of a particular funder, we kick off with that,” she says. To achieve free electricity connection, government is liaising with the private electricity distributors such as Umeme and Kilembe among others, to extend power to all households in the country. Ms Birungi says REA has signed implementation agreements with all distributors under KFW and more will be signed in October once mass roll-out kicks off. 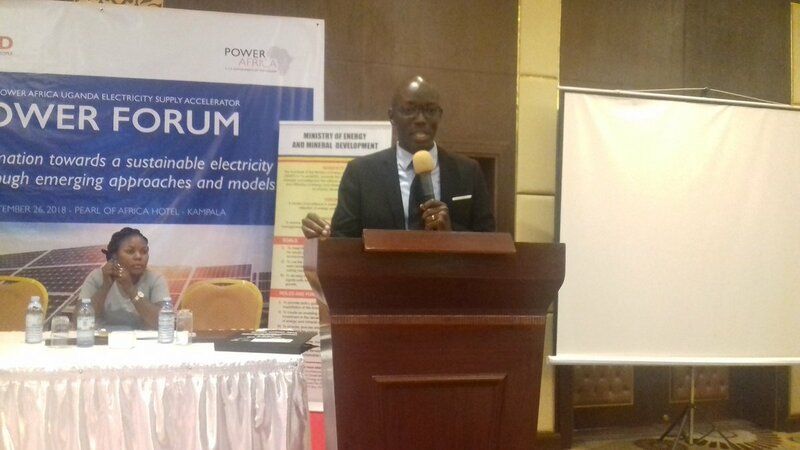 Main power distributor Umeme, managing director, Selestino Babungi says they are already implementing the Output-Based Aid project with continued funding by KFW. They have also planned an engagement with the regulator and REA on further implementation. Government seeks to boost access to electricity in Uganda which currently only stands at 22 per cent, meaning 78 per cent of the other houses have no access. Lack of access in some areas has in the past been blamed on the reluctance of private players to extend investments to those areas because they do not make business sense. Minister of Energy Ms Irene Muloni says the policy was launched last month to avail Ugandans with electricity in their homes. She says the customer only needs to wire their house with certified electricians. It is after this point that you approach power distributors such as Umeme, Uganda Electricity Distribution Company Limited (UEDCL) to whom you will pay about Shs41300 for inspection that your house is ready for electricity connection. “Thereafter, the government of Uganda will pay for that connection and bring for you a prepaid meter so that you only pay for the electricity you use,” she explains. Ugandans will now save Shs326,000 they previously incurred to have an on pole connection to their house. According to REA, this policy will aim at reaching 60 per cent electricity access rate by 2027. The policy is going to cover the entire country, meaning all Ugandans are eligible to access this programme targeting both on-grid and off-grid connections. “We are looking at the minimum of 300,000 customers annually,” the executive director of REA Mr Godfrey Turyahikayo, said in April. Initial funding of the project for the next 10 years will cost $700m (Shs2.6 trillion) as it keeps expanding to off-grid connections among others.